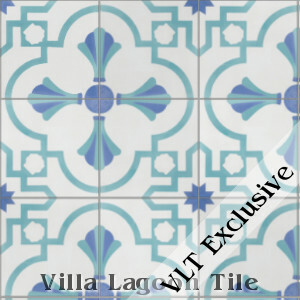 These aree 8" cement tiles, using colors from the South Beach Palette. 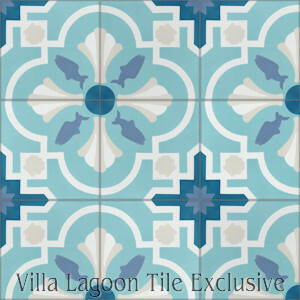 Our exclusive "Savona" is a cement tile pattern designed by Lundy P. Wilder for our Coastal Series. 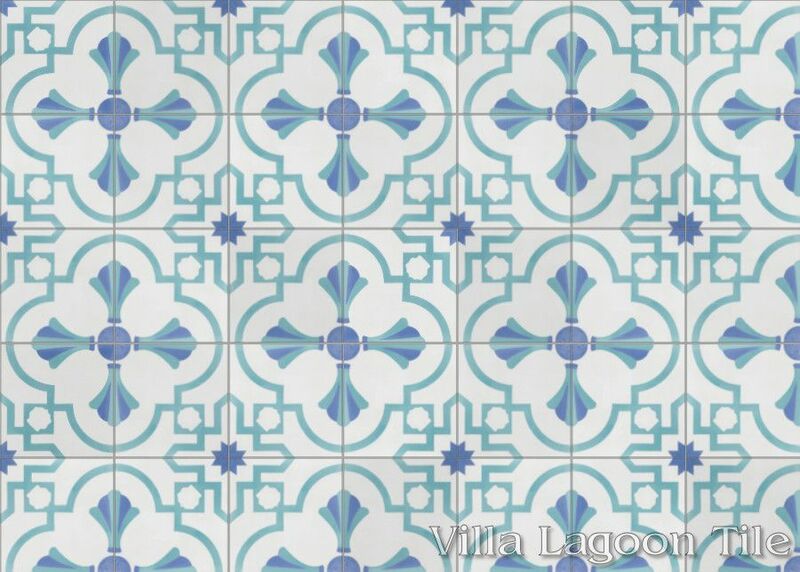 Shown here in our coastal "Palm Beach" and "Seaside" colorways, this pattern features a barbed quatrefoil full of coastal accents, such as seashells. 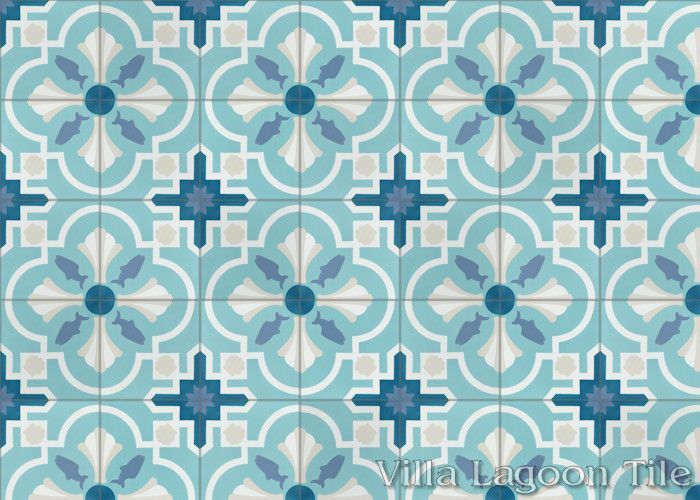 For custom production, you can choose either the "Savona A" pattern, with a fish, or the "Savona B" pattern, without. 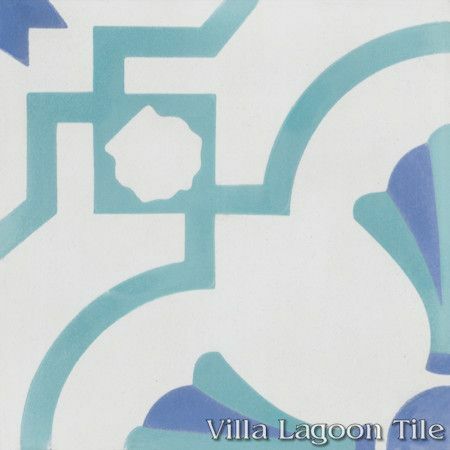 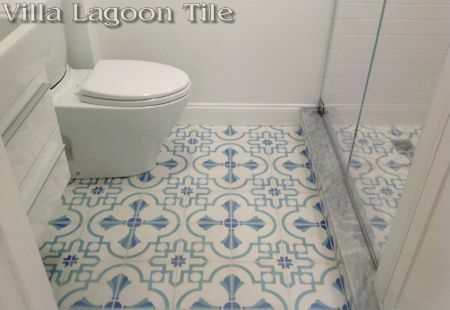 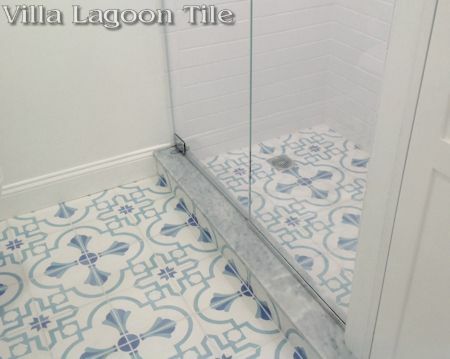 Villa Lagoon Tile's "Savona A" cement tile pattern using White, Seashell White, Seaside Blue, Washed Denim, and Channel Blue from the South Beach Palette. 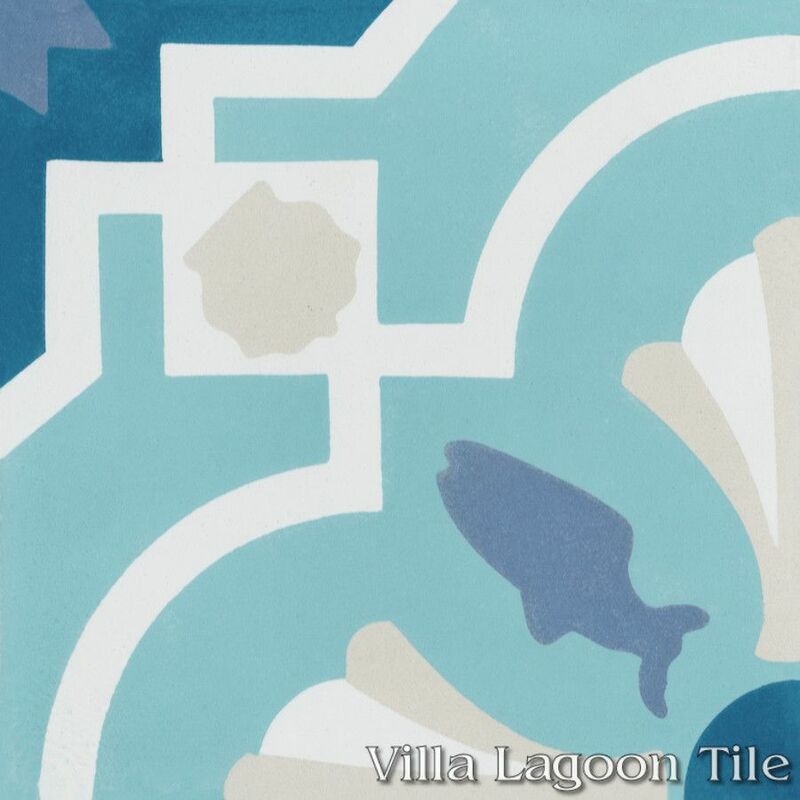 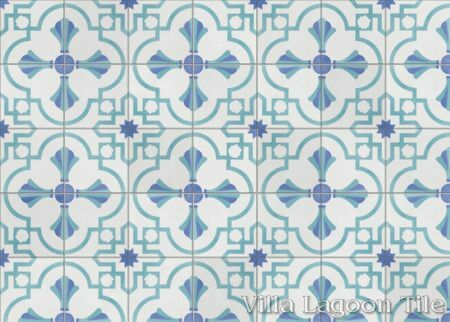 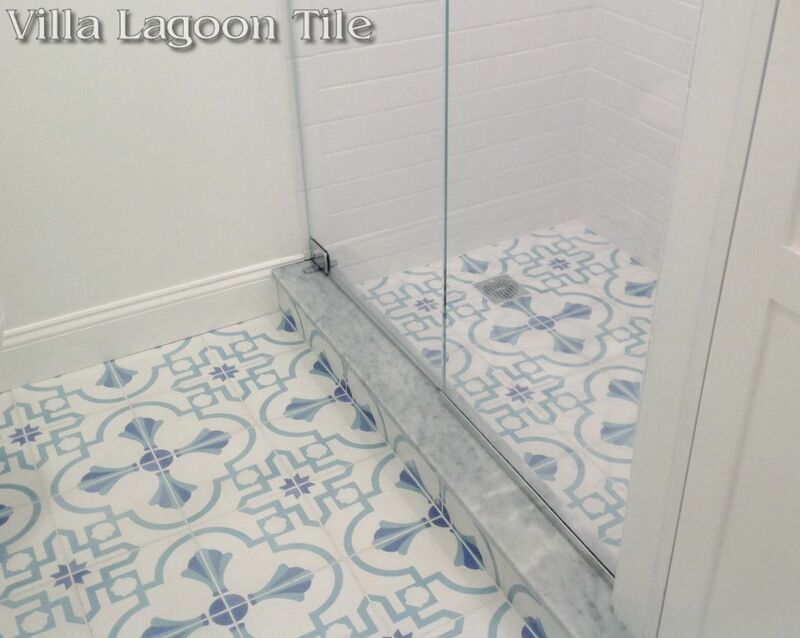 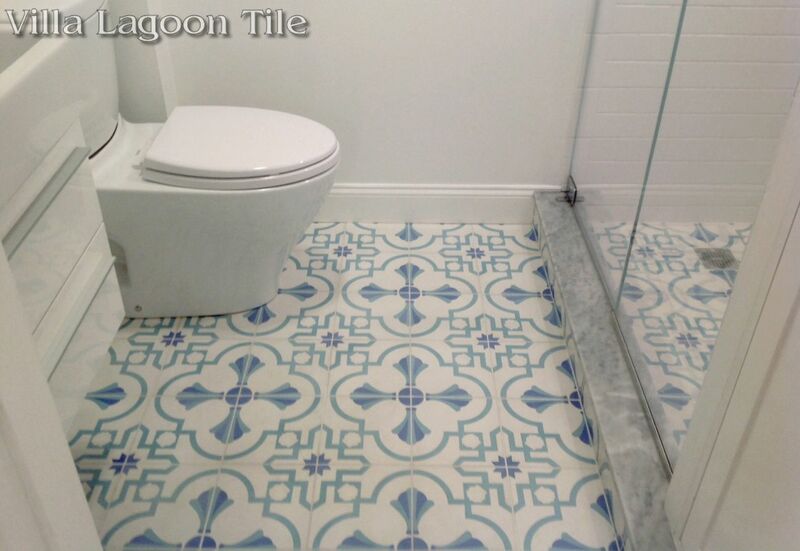 Villa Lagoon Tile's "Savona B" cement tile pattern using White, Seaside Blue, and Periwinkle from the South Beach Palette.